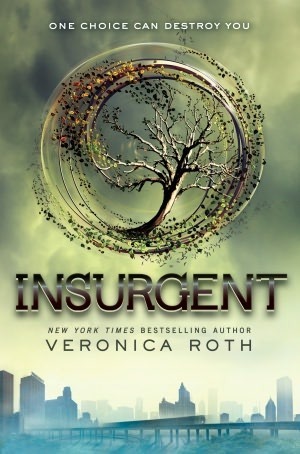 I liked that Insurgent had the same feeling of dread, excitement, and heart pounding adrenaline that Divergent had. It kept me on the edge of my seat the whole entire time. The ending was… perfect. Veronica Roth is the only author I approve of using that type of torturous cliffhanger on me. I don’t really have anything negative to say about the book except that I kept thinking, “Dear women let me breath! !” At the same time, it is also why I like it. I am a very complicated person when it comes to this series. It also seemed that Insurgent lacked the ‘love’ part of the story. What redeemed the lack of love in the book was the ending, when Four did what he did (if you read this book already, you know what he did) and believed Tris. The understanding and loyalty between these two just gets to me. They may just be one of my favorite pairings at the moment. Insurgent was phenomenal. I loved every second of it and I can only hope Allegiant is going to be as good as the first two books in the trilogy. This book exceeded my expectations! It blew them out of the water! I was hesitant to read this book. I really was. I picked it up a few months ago, read about 3 pages and decided it wasn’t worth my money. Boy, was I a bit judgmental because of the hype! I regret not reading this book sooner. I could have had the hardcover edition of the first book instead of the paperback edition the bookstore only had in stock. Honestly, this is by far one of the best books I’ve read this year. The amount of action, romance, intrigue, and the writing style, make it into a blockbuster of books! No wonder the hype is as big as it is! You could say the main characters are Tris (also known as Beatrice) and Four (whose identity I can’t disclose because I want to keep this as spoiler free as I can, Muahahahaha). Tris’ world consists of Five Factions, the Abnegation, the Amity, the Candor, the Dauntless, and the Erudite. Each faction stands for a “value” one could almost say. The Abnegation strive to be selfless, the amity strive to be peaceful, the candor strive to be honest, the dauntless are the brave, and the Erudite strive to gain knowledge. At Tris’ 16th birthday she had to go through a simulation test that decides what faction you’re most compatible with. That’s where things get tricky for Tris because no faction is the correct one for her. She is factionless. Her father is a leader in the Abnegation government and changing faction’s would mean she would betray her family, her government almost. I wholeheartedly recommend this book to fans of any book genre. I’m not a big dystopian fan but this book made me want to read more books in that genre. 3/5: I liked it. A fun read. Just found out about this cool Book Giveaway! The winner gets a $20 gift card to Amazon and a January release book of their choice! To enter click here . A/N: My Divergent Review is being written. Will post today or tomorrow! I admit it, I gave into the hype. The reviews, the recommendations. They all convinced me, so I made a trip to Barnes & Nobles yesterday and bought the book. Couldn’t find the hardcover edition so I bought the softcover edition instead. 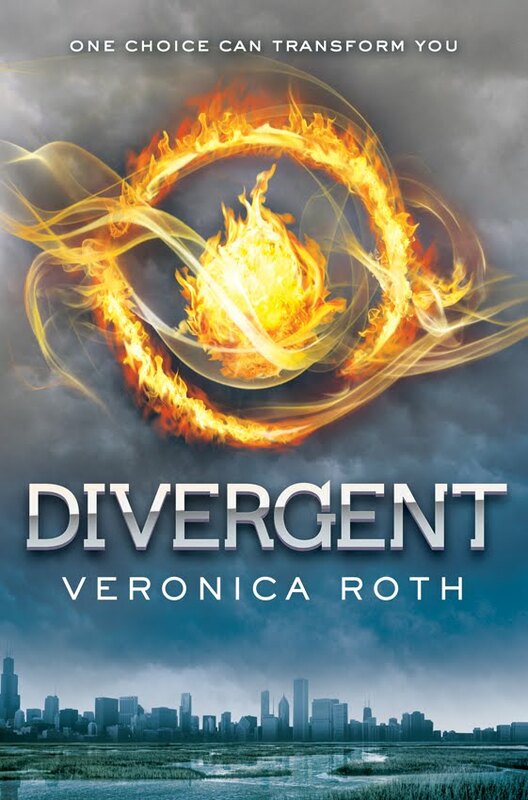 The book Divergent by Veronica Roth. I’ll be reading this book after I read Over You by Emma McLaughlin & Nicola Kraus.